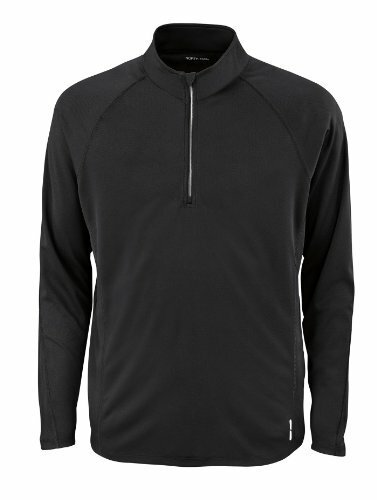 A soft long sleeve training top to keep you comfortable during cooler days. 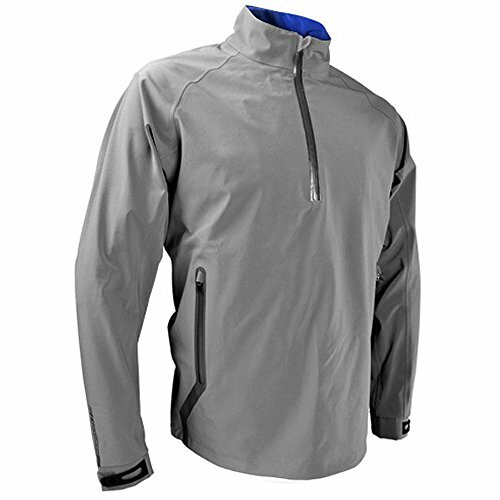 Made of X-Cool quick dry fabric to keep you cool and featuring a chest zipper and reflective chest print for extra visibility in low light conditions. 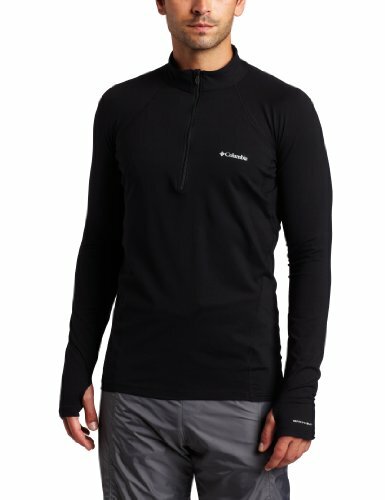 Our bodymapped design keeps you warm and dry in all the right spots by placing Omni-Heat reflective dots in zones that need warmth most, and Omni-Wick™ in high-perspiration zones for maximum moisture transmission. 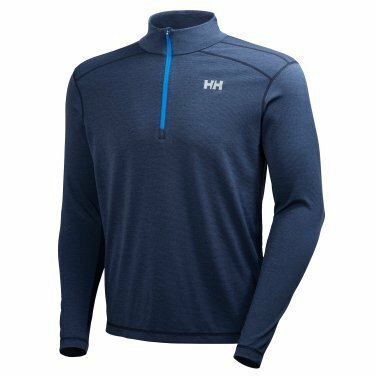 Antimicrobial treatment keeps the fabric feeling (and smelling) fresh during high-exertion activities, while a deep neck zipper helps you moderate heat when you need to. 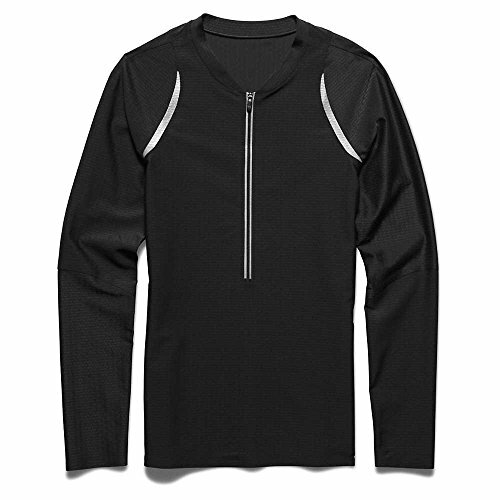 Highly stretchable, with flat-lock stitching to avoid chafing and raglan sleeves for extended range of motion, this midweight top sets you up for success. From a walk around the block to a hike across the countryside, Hi-Tec products will take you further. 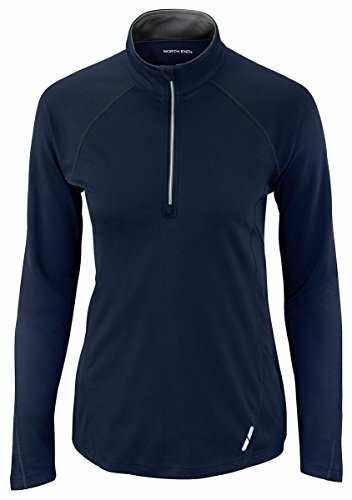 The mesh back fabric of this half zip is made using space dye yarns providing its unique look and the performance benefits of a UPF sun protection rating and wicking capabilities. Thumbholes at the sleeve opening ensure wrist coverage when your explorations require it. 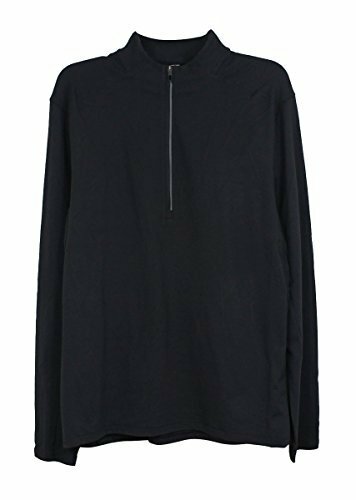 PattyBoutik Cotton Blend 1/2 Zip Front V Neck Long Sleeve Blouse Top. Model in pictures is 5 feet 8 inches (173cm) tall. 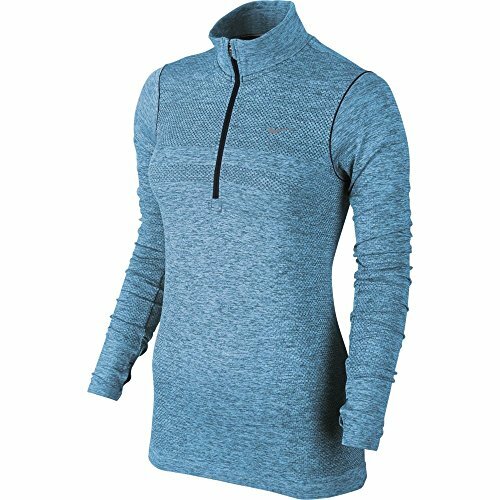 Arc'Teryx Accelerator 1/2 Zip LS Shirt Men's Small S in Gray.